A Ouija Board spells “HELP” as Foley reminds everyone how dangerous Hell in a Cell is. This was pretty good. It had its moments, but it felt like it dragged at times. The first part of the match was just an extended period of Reigns and Rusev running each other into the sides of the cage. I liked some of the stuff towards the end, but I felt myself wondering when the match was going to be over more than a few times. Tom Phillips welcomes Kevin Owens. Owens says that his apron powerbomb to Rollins on RAW is going to keep Rollins from winning tonight. Pretty good match. It could have been a RAW match, but I still enjoyed it. Bayley went into the match injured which added to the underdog battle that she usually has. Dolph Ziggler is Col. Sanders and The Miz is a big chicken in a commercial for KFC. Mick Foley and Stephanie McMahon talk about how great the show is so far and how great Survivor Series will be. Chris Jericho walks up and begins to talk about being on the Survivor Series team. Foley interrupts Jericho which nearly gets him put on the list. Foley tells Jericho he should probably worry more about tonight than Survivor Series. Jericho writes something on the list before walking away. Another pretty good match, but another match that could have just as easily been on RAW. It was a rather typical Enzo & Cass match, with Enzo starting the match and getting beat up until Cass gets the tag and takes over. Buildup for the Owens versus Rollins match. Great match. Owens and Rollins took advantage of the cage, but they also put together some great exchanges in the center of the ring. Jericho managed to find his way into the cell during the match. Jericho got beat up a lot, but he managed to help Owens in crucial moments, making the match even more exciting. This match had some big, memorable violent spots as well as a lot of solid action. Renee Young, Booker T, Lita, and Jerry Lawler look at some toys and talk about the show so far. Good match. After the first few moments of the match, the story about Kendrick asking Perkins to let him win didn’t mean much. It was still an entertaining match though. The finish was a little drawn out and predictable, but it still worked well. Cesaro and Sheamus are very polite to each other. They talk about how well they’re getting along despite hating each other when they were first put together. Their polite conversation quickly turns into an argument. This was a good match. I like the story aspect of it during the finish. The action was also very entertaining. Both teams worked well together, with each other and within their own teams. Brock Lesnar doesn’t care about Goldberg or his family. Lesnar says Goldberg’s family shouldn’t watch Survivor Series. Buildup for the Women’s Title Hell in a Cell. Good match. Charlotte attacked Sasha before the cage was lowered, powerbombing Sasha through the announce table. The match was almost called a forfeit, but Sasha insisted that the match begin. The match itself was good. The focus on Sasha’s back helped add a lot of intrigue to the match. There were some big, violent moves and a lot of hard-hitting action. There were a couple of table spots that didn’t work very well, including one at the very end of the match. The table spots didn’t necessarily detract a lot from the match, but the underwhelming table spot at the end made the finish a little less than it probably should have been. The match as a whole though was very good. The show was a little uneven. 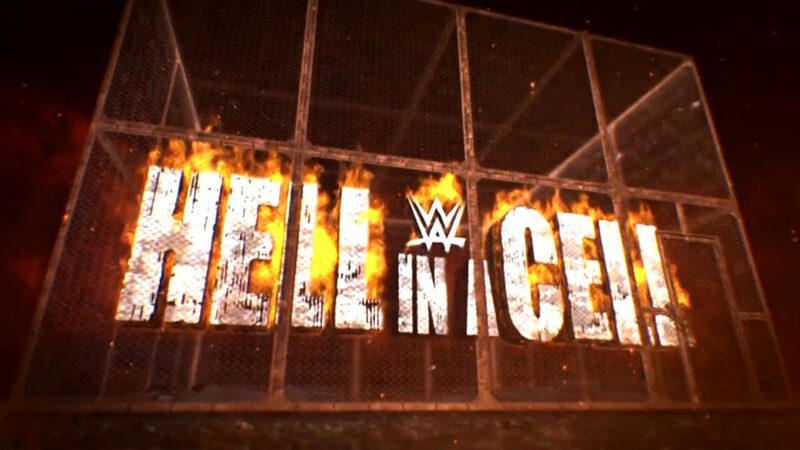 It didn’t start out great, but the second and third Hell in a Cell matches did deliver. I still thinking having more than one Hell in a Cell match on a show is too much, but they were two out of three tonight so I guess it isn’t the worst idea. I really wanted to pick the women’s title match, and it was a very good match, but I think Rollins and Owens put together a more consistently solid match. It’s a tough call though.